It’s best to add a fertilizer to your dirt and potting soil when you begin planting. 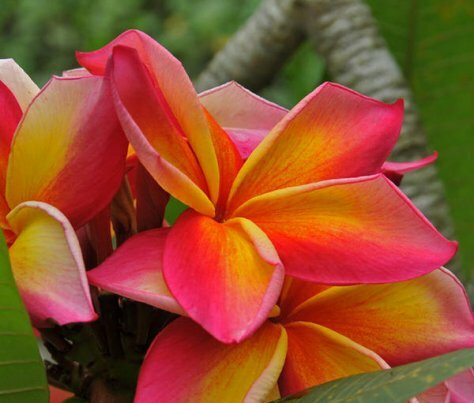 A fertilizer with a high Phosphorus content works best for Plumeria. 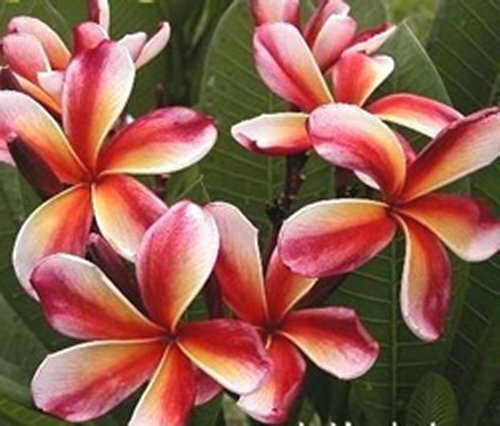 Typically, you should fertilize the Plumeria every two weeks or more in the Spring and Summer months. 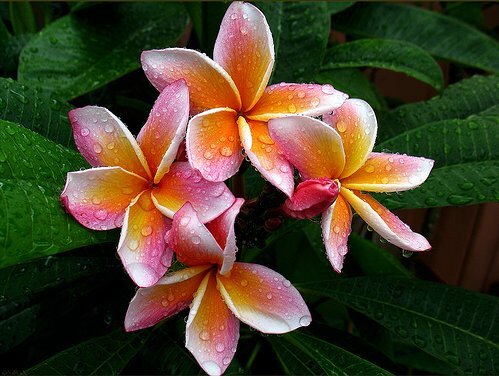 Remember to water the area around the Plumeria after planting it in the ground, or if you choose to use a container, use one that has adequate drainage holes in the bottom to avoid over watering of the plant. Check the container at least once a week or sooner if the potting soil becomes dry. 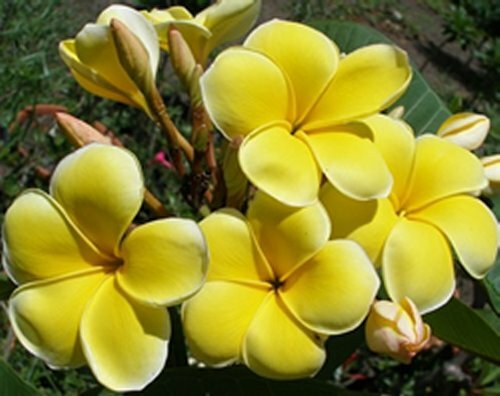 The Plumerias planted in the garden seem to do very well even when the weather becomes drier, but as with other outdoor plants, watering and other care such as weeding will tend to keep your plants thriving. 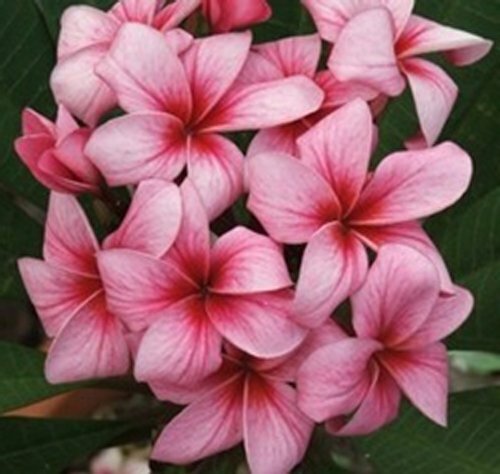 Finally, once the Plumeria plant is growing and blooms are abundant, you may choose to make a cutting to further propagate the plant, and this preferably would be in the spring. You should see a bloom in the next growing season from the current cutting. 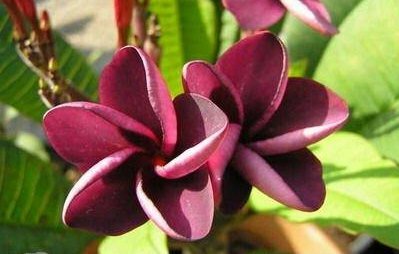 Plumerias are an easy plant to grow with the proper care and attention, and the beautiful blooms they can produce will probably hasten your desire to cultivate even more Plumerias the next year! 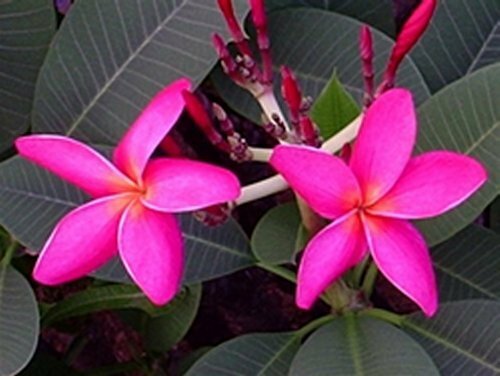 The Plumeria is one of the most low maintenance plants in the world. It is drought tolerant and can be grown in full sun or partial sun. 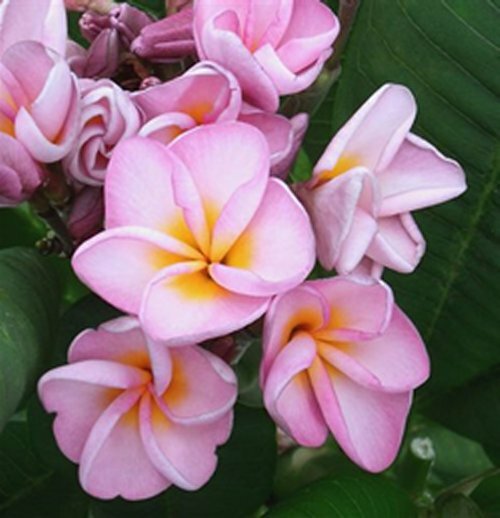 If planting outdoors pick an area in your garden appropriate for planting and to accommodate adequately the growing Plumeria plant. 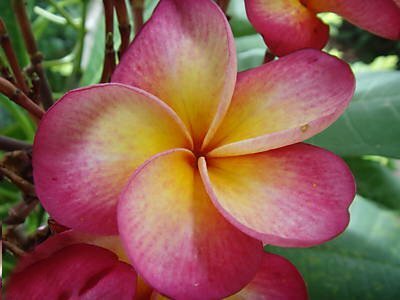 If you find the Plumeria is not blooming move the plant into a place in the garden where there is more direct sunlight on the plant. If a potted palnt then move the plant pot to an area where it receives more sunlight. 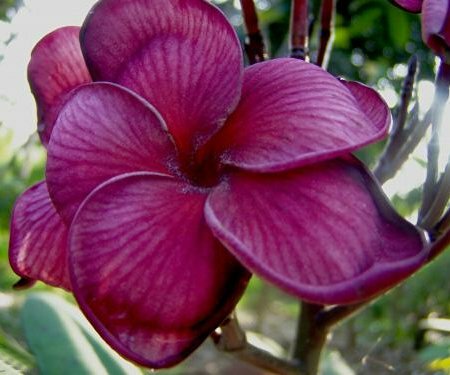 The characteristics, such as the color changing and dropping off of the leaves are typical of the Plumeria and other plants that become dormant in the winter months. To avoid the yellowing and dropping off of the leaves in the winter months, you can cut the leaves off about an inch away from the stem. One of the darkest violet colourations from Thailand. Unsusual medium to large flowers of deep chocolate colors. Very beautiful. Nice perfume. A fabulous big pink and yellow flower. 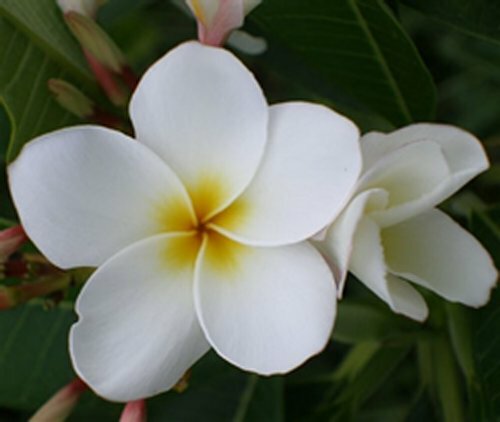 Touches of Yellow to the pure white petals make this a very attractive variety of plumeria. Strong red large flowers with rich pink splashes, dark red radiating lines and a small bright yellow centre. Very thick strong petals. Strong sweet perfume. A true dwarf to 2m. This is an exceptional variety. Huge flowers and exceptional frangipani perfume. Intense day glow rose pink. The colour is so bright and intense that it's difficult to photograph very accurately and describe it, other than it glows even in the shade. Imperial Crown has stunning Pink/Orange/Yellow/Red colours. Petals are thin and with a rounded tip. 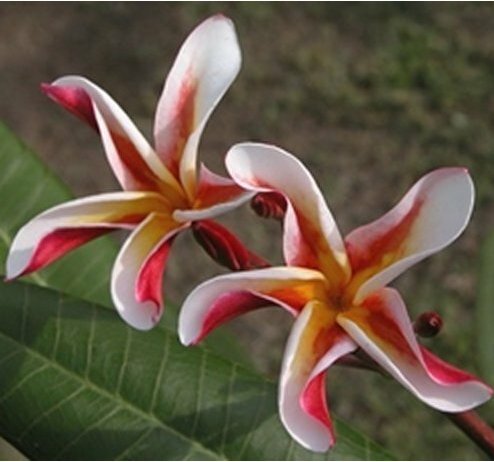 A moderate strong red flower with a small pale orangeny yellow centre, slightly wavy edges, moderate reddish-brown bands on the front and back, a slight spicy scent becoming stronger on storage. Large bunches of huge 5" - 6" multi coloured flowers with thin red stripes radiating out from the crentre through the pastel toned yellows, oranges and pinks. Madam Poni is the most bizzare of all frangipani flowers. Strange starfish like petals with very nice colours. A very special flower of unusual shape and colour. Deep golden yellow which slowly fades to a light yellow/cream, putting on a brilliant and heavy yellow shower display. The back of the flowers are pink and cream. 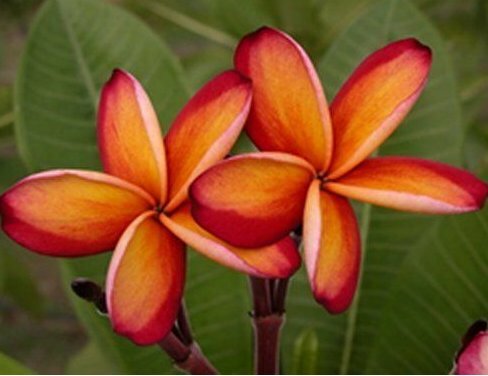 The strongest, purest, its an entirely deep orange frangipani with the best flower shape of all the true orange frangipanis. Flowers smell strongly of eucalyptus. 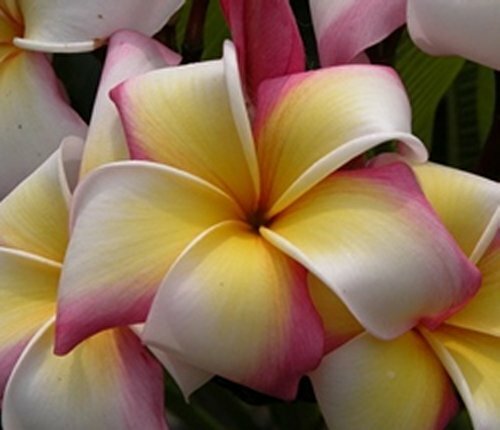 A plumeria with very large and beautifully shaped, patterned & coloured flowers. A fabulous big pink flower with a slight spicy scent becoming stronger on storage. Pure deep yellow flowers outlined by a thick deep red margin. Sheer beauty. Firecracker is just gorgeous! A frangipani flower with very unusual red lines and variations all over the deep pink unusual flower which radiate from the red centre like exploding fireworks hence the name firecracker. Unusual flower and petal shape makes this a very different & beautiful standout variety. 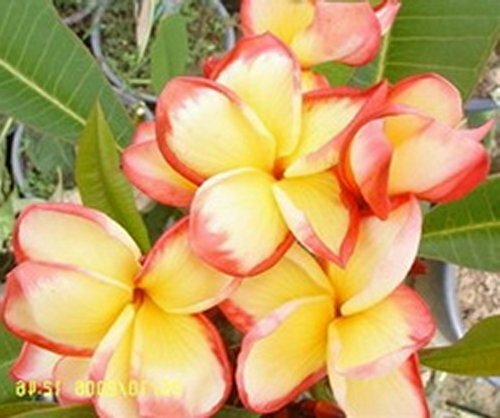 A lovely flower, deep pink with whitish yellow streaks throughout and with hints of orange. A sweet perfume. A very special flower of unusual shape and colour. Pinks turning to yellow with this unusual flower. A very beautiful lilac/lavender colored flower with yellow & pink centre. An unusual characteristic of this beautiful cultivar is that it regularly produces double & triple flowers although not always. The perfume is very sweet & strong. 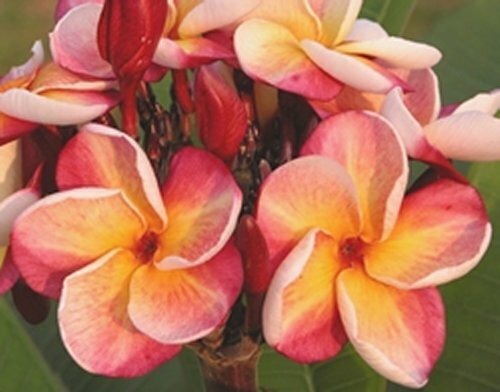 Here are are some Plumeria "Wishy Washy" seeds, Vivid Pink and Yellow flowers make this a very attractive variety of plumeria. To start the germination process, place the seeds in a moist, warm environment for 12 to 24 hours prior to sowing. 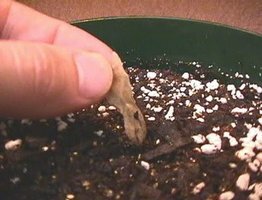 An easy way to achieve this is to place the seeds between moistened paper towels in a 5cm deep glass baking dish, After this the thicker end of the seed should be noticeably swollen. 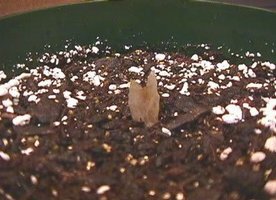 The seeds will take 7 to 30 days to germinate. Any signs of mold during the germination should be immediately treated with a fungicide. Once the seedlings have developed their second set of true leaves they can be transplanted, begin feeding with a high nitrogen fertilizer and gradually move into stronger sunshine. It’s best to add a fertilizer to your dirt and potting soil when you begin planting. 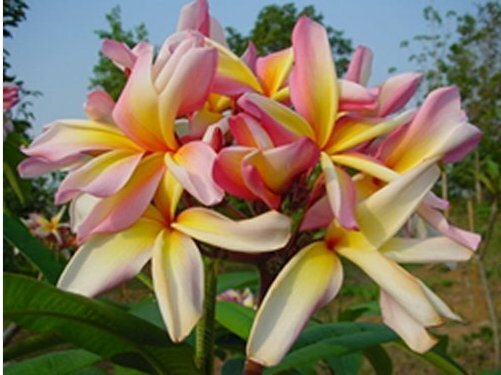 A fertilizer with a high Phosphorus content works best for Plumeria. 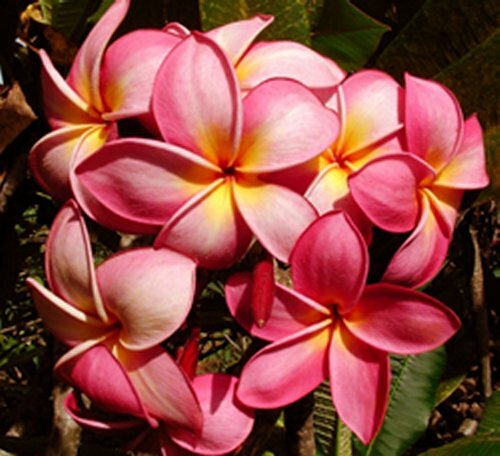 Typically, you should fertilize the Plumeria every two weeks or more in the Spring and Summer months. 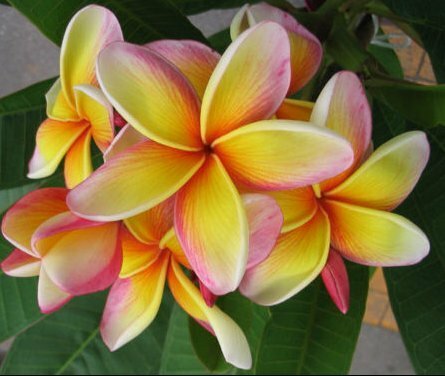 Remember to water the area around the Plumeria after planting it in the ground, or if you choose to use a container, use one that has adequate drainage holes in the bottom to avoid over watering of the plant. Check the container at least once a week or sooner if the potting soil becomes dry. 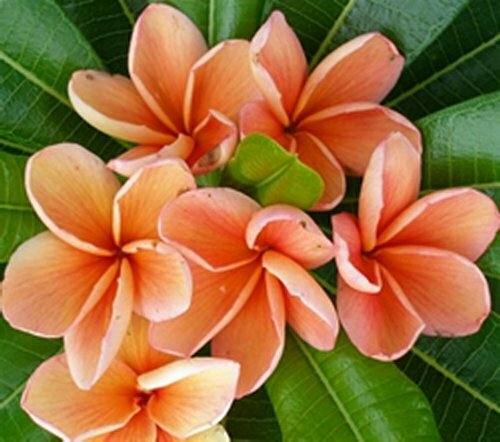 The Plumerias planted in the garden seem to do very well even when the weather becomes drier, but as with other outdoor plants, watering and other care such as weeding will tend to keep your plants thriving. 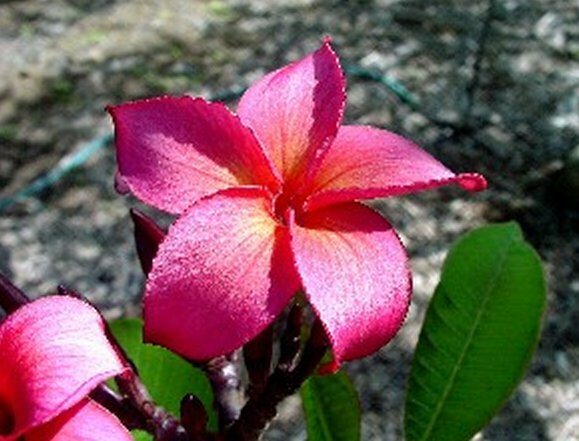 Finally, once the Plumeria plant is growing and blooms are abundant, you may choose to make a cutting to further propagate the plant, and this preferably would be in the spring. You should see a bloom in the next growing season from the current cutting. 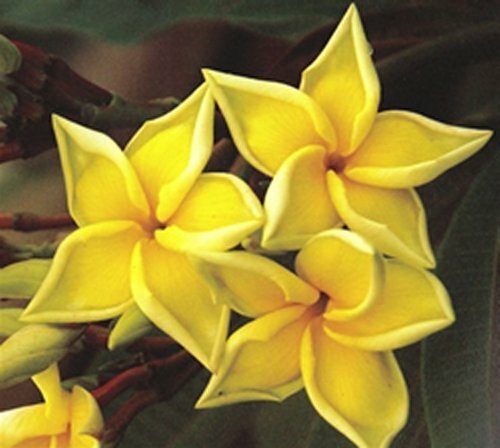 Plumerias are an easy plant to grow with the proper care and attention, and the beautiful blooms they can produce will probably hasten your desire to cultivate even more Plumerias the next year! 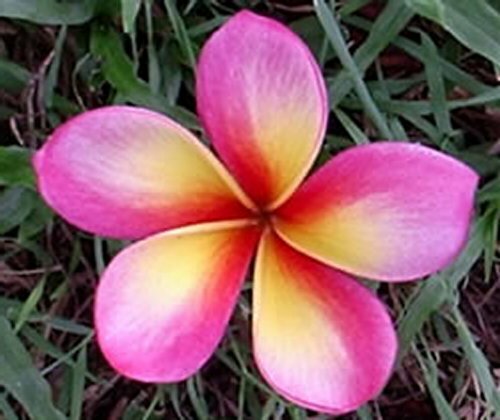 The Plumeria is one of the most low maintenance plants in the world. It is drought tolerant and can be grown in full sun or partial sun. 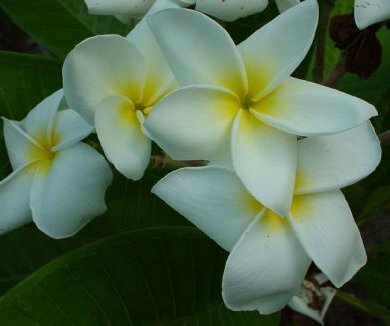 If planting outdoors pick an area in your garden appropriate for planting and to accommodate adequately the growing Plumeria plant. 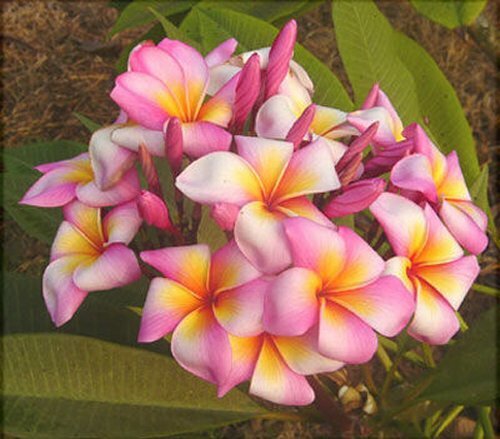 If you find the Plumeria is not blooming move the plant into a place in the garden where there is more direct sunlight on the plant. If a potted palnt then move the plant pot to an area where it receives more sunlight.